In 1974, American author William O. Douglas published his popular novel, Go East, Young Man. 40 years later, the title of his book could easily be a headline describing Vancouver's evolving real estate landscape. But this West Coast tale is not just about young adults seeking adventure. In this story, young men and women, middle-aged singles and couples, young families and established empty-nesters, and, perhaps most surprising of all, affluent retirees, are making a once unthinkable journey: they're moving away from Vancouver’s picturesque, beach-front west side to - can you believe it? - East Van. ThenTraditionally, East Vancouver attracted and catered to artists, musicians, free spirits, new Canadians, younger families, and people seeking inexpensive housing options, funky clubs and low-key local businesses. Many of Vancouver’s post-war European immigrants moved to East Van and grew deep roots; they raised their children in tight-knit communities and spoke Italian (or Croatian or Ukrainian or Cantonese) with their neighbours. The east side was affordable, very ethnic and, a bit closer to downtown, downright scratchy. Still, the diverse, working-class culture of the east side was at once welcoming, quirky and, let’s face it, way cool. The west side, in contrast, is still considered the wealthy part of town, exemplified by beautiful, lush neighbourhoods like Kerrisdale and Shaughnessy, whose magnificent, historic mansions were built by lumber barons, mining giants and shipping magnates. Like it’s eastern sibling, the west side has its own community of cool, Kitsilano. It also has the beaches, UBC, and many established, cheerful streets featuring some of the Lower Mainland’s finest markets and shops. In the 1960’s and ‘70’s, Dunbar was known more for its hippy culture and crash pads than renovated craftsman houses and ultra-modern new builds. For many locals, luxury west side homes and condos in areas like Point Grey, The Southlands, Kits Point, Oakridge and yes, Kerrisdale and Shaughnessy, were the stuff of dreams. When it came to real estate, making the leap from east to west was the ultimate objective. But times change. Over the past few years, demographics and desires have shifted, prices have accelerated upward, and, as a result, the great undiscovered territory east of Cambie beckoned. NowMain Street. Fraser Street. Victoria Drive to Boundary Road. Burnaby. New Westminster. Like the attitudes of new transplants who call it home, the east side has undergone a complete transformation. 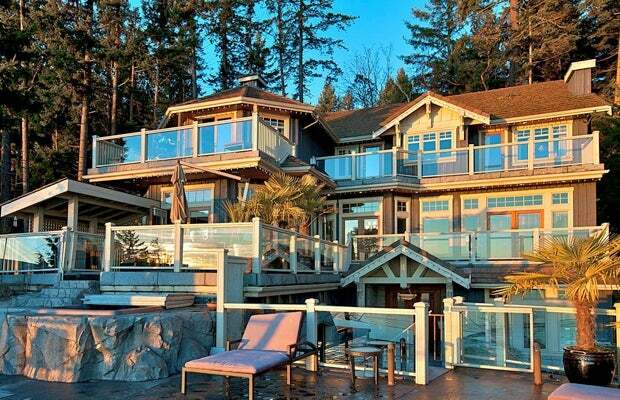 It is without a doubt Vancouver’s hot property. Even those normally drawn to downtown or the West End have instead selected Main or Fraser as their corridor of choice. Sure, downtown is attractive for nightlife and proximity to shops, work, and entertainment. The east side provides all of these amenities, along with livability, charm, convenience and perhaps most important of all, community engagement. In other words, the cultural heart of Vancouver has been transplanted. And it is healthy and thriving, beating to a rhythm all its own. What $1M Dividing Line?East Vancouver still attracts artists, musicians and bohemians, but these days just as many doctors, lawyers, engineers and other professionals, designers, technology people, and young families have all successfully dropped anchor in points east. Older neighbourhoods have been completely revitalized. And while the east side is no longer as affordable as it once was, the opportunity to build equity makes East Van neighbourhoods very attractive indeed. With many local buyers priced out of the west side, the east side neighbourhoods are the hot performers. The numbers are telling. Selling prices of around $1M, unthinkable for an east side home only a few years ago are just as impossible in 2015. It’s far too low a selling price based on recent stats. According to the Globe and Mail, “a recent Sotheby’s report shows average price increases in Arbutus, Dunbar, Kerrisdale, Point Grey/UBC and Shaughnessy of between 10 per cent and 16 per cent. Meanwhile, Fraserview saw a 26.5-per-cent increase, Grandview 30.1 per cent and Victoria 33 per cent. “House prices on the east side have shot up 54 percent in the past five years, compared with a 50-per-cent increase on the west side in the same period." There was a time when the prevailing attitude was 'all real estate east of Main Street will be inexpensive and not nearly as desirable as the west side'. Like the dream of moving west, that mindset has moved on. Last we heard, it went East.